Since my excommunication, some folks have inquired as to whether I plan to be rebaptized. This question has set me thinking, and like most gospel truths, the answer may go much deeper than you initially expect. Before we talk about rebaptism, let's first talk about baptism. Through this outward observance, we testify to an inward commitment we have made to follow our Lord. This means we seek to emulate His way of thinking, acting, loving, serving, and even suffering. Our public testimony to God and our fellow men of this commitment is embodied in this sacred ordinance. These are lofty goals, to be sure. And not all that easy to live up to. In fact, we will all certainly NOT manage to live up to the commitments we make at baptism. One of the things we tell ourselves, therefore, is that taking the sacrament renews this broken baptismal covenant and gives us another chance to try another week. And while I agree that the sacrament of the Lord's Supper is indeed a wonderful, important, and necessary observance for all of Christ's followers, I cannot find any scriptural indication that sacrament renews baptismal covenants specifically. Many of the same elements exist in the sacrament prayers and scriptures about baptism, but the two ordinances are never directly linked in scripture, nor did the Lord Himself ever link them when He instituted the sacrament in person. They're different ordinances with different purposes. So let's suppose you're seeking renewal beyond the sacrament. Something more along the lines of a full-body immersive experience, let's say. Perhaps you were baptized at eight years old, and you didn't really understand what you were doing, couldn't wholeheartedly make your commitment to Christ, and can't remember it by now anyway. Suppose that now, as a fully mature adult, you're ready to make your commitment to Christ in a wholehearted, enlightened and determined way before God and men. Suppose that by doing so, you intend to show your faith that God will fulfill his words and remit your sins by fire and by the Holy Ghost. Suppose you desperately want, need, and desire this renewal of your commitment to your Lord because you hunger and thirst after righteousness. Forget the excommunicated castoffs. Is there no provision for the faithful to be rebaptized? Well, it turns out, there is. As with all gospel questions, let's turn first to the scriptures. In 3 Nephi 11, when Christ appears to the Nephites, the very first thing he teaches is baptism. I know of no scriptural injunction against rebaptism, and we've just seen a scriptural example of Christ himself teaching rebaptism. But what about rebaptism in the latter days? Has this practice ever been part of the restored gospel? Well, the answer to that is a resounding YES! It started at the organization of the Church of Christ in April, 1830, when previously baptized people were rebaptized. Records of rebaptism appear sporadically through the 1830's, and by the Nauvoo era became quite common. "Nearly All the church have been Baptized again, for the Remission of their Sins, since they joined the Church, I have also, by the hands of Br. Joseph (as he himself has been,) & I would advise Jan and you Mary, to attend to it as soon as you can have the opportunity of an Elder or Priest of the Church to administer it." 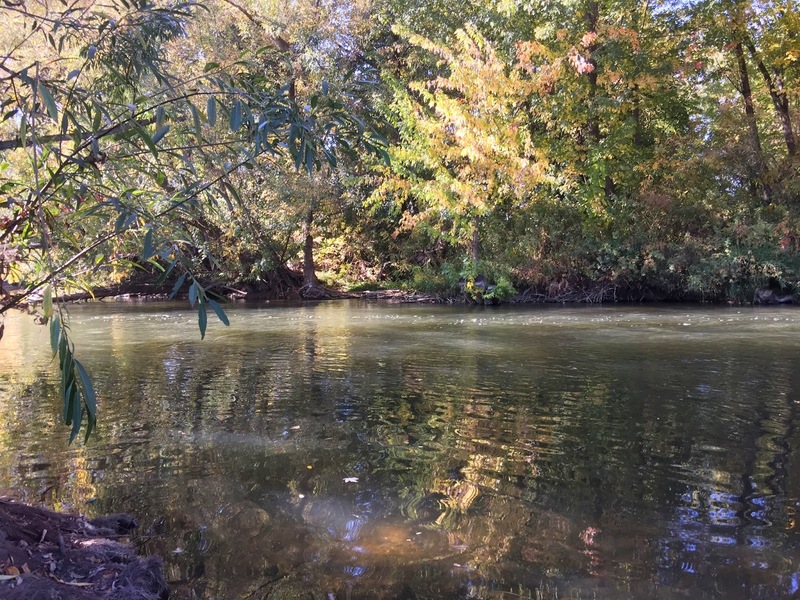 Interestingly, rebaptism was also performed in Nauvoo, not only for remission of sins and recommitment, but also for restoration of health, with numerous recorded examples including the Prophet rebaptizing his wife Emma on numerous occasions. Rebaptism continued after Nauvoo as well. For example, Brigham Young and all the apostles were rebaptized in Salt Lake on August 6, 1847. Under the "Mormon Reformation" of 1856-1857, nearly every member of the LDS church were rebaptized to show renewed commitment. Rebaptism of the living was even practiced in the temples as late as 1913. So with all this scriptural and historical evidence that rebaptism is sanctioned by, and pleasing to God, how might one go about receiving this sacred ordinance in our day? More particularly, suppose in your efforts to repent and seek the Lord, he gives you the distinct and repeated impression that He wants you to do this, and will bless you for it? Well, I suppose you could do it the way it's always been done; you could seek out a priesthood holder and find a body of water. Taking such initiative shows commitment and faithfulness to the Lord. It demonstrates desire for repentance and recommitment to Christ. Unfortunately, it will also get you punished by those who claim to be Christ's representatives. I happen to know of a brother who did just such a thing. He and his wife, desiring a greater commitment to Christ, received rebaptism by one holding the proper priesthood authority. This was a private matter of devotion to the Lord and obedience to his commandments. It resulted in a wonderful outpouring of the Spirit, as the scriptures promise. Eight days after making this renewed commitment to Christ, this faithful brother was excommunicated from the church by men pretending to act for Christ. Eight days. That's got to be some kind of record! The brother in question is Brian Beckle of Minneapolis, Minnesota, and in telling his story, I need to point out a few things. First, he acted in obedience to what he understood the Lord was asking him to do. The Lord, in response, provided the promised signs that follow belief. Just like the scriptures promise. Second, he DID NOT get baptized into another church, movement, or group. This was not about leaving the LDS church or "membership" in anything at all. Rather it was simply about renewing a personal commitment to follow the Savior. Third, he kept this matter private. He told only one trusted friend, and that friend took it upon himself to inform church authorities, directly leading to Brother Beckle's excommunication. I grew up in this church, participating in nearly every program available to me – primary, Sunday school, young men, scouting, seminary, etc. I served a full-time mission. I attended the temple. I faithfully paid tithes and offerings. I consistently served in ward and stake callings. However, about two years ago I began to reflect on my standing before God. I realized that while many of the good things in my life had come from my association with this church, I did not enjoy many of the spiritual blessings promised in scripture, and in my patriarchal blessing. I began to search. The foundation for my search was the Book of Mormon. I saw in that book an invitation to come and know the Lord. I saw individuals enjoying the gifts of the Spirit. I saw a common pattern and a path forward. I began to realize that I had spent 40 plus years of my life trying to make men happy, thinking that I was somehow pleasing God. I began to realize that many of the things that I had engaged in were essentially only a form of godliness, lacking real power. On Saturday October 4th at 10AM, after nearly two years of intensive study, prayer and nearly constant reflection and meditation I submitted to the Voice of the Lord urging me to make a solemn covenant with Him. 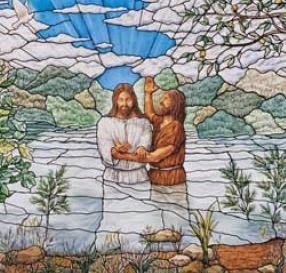 I was baptized in living water along the shoreline of Utah Lake according to the pattern outlined by the Savior in 3rd Nephi. I was baptized by an individual who holds God’s priesthood. As a consequence of that act, I have witnessed an unprecedented outpouring of the Holy Ghost and the gifts of the Spirit upon myself and my entire family this past week. This outpouring has included the voice of prophesy, detailed revelations, dreams, interpretation of dreams, and even a waking vision for my 15 year old son, where he was shown his life’s mission. At the same time, I have been subjected to church disciplinary action culminating in this meeting where I am now required to come and defend myself in front of 15 men against a charge that in the handbook is in seriousness next to murder and child abuse. The contrast between how the Lord is treating me and how this church is treating me is both striking and instructive. I find the actions of this church in this matter deeply offensive, but I have been directed to submit. I know my standing before God. My heart is pure and my hands are clean before him. Brethren, you can do what you want with my membership in this church. I no longer value it as I once did. We can only serve one master and I choose to serve the Lord. My fidelity to Him and what He requires of me will always have priority over the demands of men, regardless of the consequences. I want to stand accountable before the Lord for what I have done. I know I have His approval. If this council deems my actions worthy of excommunication from the LDS church then I will willingly separate myself from it. And so he was cast out for following his Lord, by those who claim to control such things in Jesus's name. Wherefore, my beloved brethren, I know that if ye shall follow the Son, with full purpose of heart, acting no hypocrisy and no deception before God, but with real intent, repenting of your sins, witnessing unto the Father that ye are willing to take upon you the name of Christ, by baptism—yea, by following your Lord and your Savior down into the water, according to his word, behold, then shall ye...be cast out of His church! When such a thing takes place, when the signs of the Spirit are made manifest, when any repentant soul enters in by the way, shouldn't the Body of Christ celebrate God's gifts? Doesn't the Savior teach in the parables of the Lost Coin and 99 Sheep and Prodigal Son that such a time is for rejoicing? I don't know the men in the Stake Presidency and High Council of the Minneapolis Minnesota Stake. I don't know their hearts and I'm certainly in no position to pass judgment on what kind of men they are. That is for Christ to consider. But I do know their actions and I CAN comment what they have done. Brethren, I cannot agree with your actions. In contradiction of the very words of our Lord, you have cast one out from among you who did precisely what the scriptures tell us to do, and who then received precisely what the scriptures promise in confirmation of the Lord's approval. I don't know what authority, or keys, or power, or influence allows such action to be taken against a sincere follower of Christ. Abuse of authority endangers it. "Amen to the priesthood or the authority of that man." No title, office, priesthood, or hierarchy can serve as a shield against the justice of God. You and I and Brother Beckle, we all need repentance and mercy. We all need to seek the Savior. My brothers, speaking from experience, I can tell you that you may yet come to a point in your own path where the Lord asks you to recommit to Him by baptism. When that time comes, I hope you'll ask Brother Beckle to baptize you. I'm certain he'll be glad to provide this beautiful and powerful ordinance to you. How joyful will be your reunion with him and with that God to whom you will have recommitted. How powerful will be the outpouring you will then receive. I already have been. And I highly recommend it. God be praised for his mercy and love, as manifested in the life of His Son. Thank you Lord for setting the example and showing the way that even sinners like me can find access to your grace! Important note: I, alone, take responsibility for the above words; other than Brother Beckle's letter, these words and thoughts are mine and not his. Therefore, you need not call him to task for what I have said. If you object to what I have written, your problem is with me, not him. "And while I agree that the sacrament of the Lord's Supper is indeed a wonderful, important, and necessary observance for all of Christ's followers, I cannot find any scriptural indication that sacrament renews baptismal covenants specifically." Thank you thank you! I've always thought the exact same thing and it's nice to see somebody else who agrees. Good post, our family is planning on getting rebaptized soon. Good for you. I think more people should get re-baptized to show commitment. I second your recommendation, and can add my testimony to yours that the Father will indeed give the Holy Ghost to all who comply with the Doctrine of Christ. Wow, that's nuts! Under what guise did they excommunicate this brother? Apostasy? For being re-baptized? My mind and heart can't help wonder about what Denver has said about rebaptism and perhaps an error in understanding and lack of preparation that some have with respect to the Doctrine of Christ. This will apparently render a re-baptism void of the second half of the baptism which only Christ can administer. Kinda like how so many first time batisms are void of any power from heaven to attend to it. I don't beleive there can be any doubt or speculation whether or not The Power of heaven was present in your rebaptism or not. I believe that if you have to wonder and struggle to know if heavens power was involved in your rebaptism then it wasn't present. I find no account of baptism or re-baptism in the scriptures where the powers of heaven were not also close before or after the re/baptisms. Both parts are implied to have occured, for there is only one baptism, comprised of both water and spirit. I bring these things up because I'm struggling with these things in my own life. I have not been re-baptized, however, I do desire to be re-baptized. Do I seek someone who has actually received power and authority from heaven to baptize me, or do I rise up and perform it for my family? Like in that post "What's Wrong" I too do not want to leave my re-baptism and not also become born again, born of God, born of the spirit or have the power of heaven to not attend my rebaptism. I understand this is a matter I must continue to search for answers for in my Book of Mormon studies. I understand that I must continue to weary the Lord on this matter and humble myself to be led by the Spirit in all things. I would to God that I be baptized unto repentance. Why would being re-baptised result in excommunication? Was that the only reason? I can't remember my baptism and would like to take this step. If the Lord asks this of you, I highly recommend you do it! I just want to compliment your excellently expressed thoughts on this topic and wish you and your family well during this time. I'm truly saddened that the church is excommunicating people such as yourself. If the church continues this reckless course, it will soon realize all its humble followers, follow no more. What a loss for us. I hope more can show the courage, integrity, and faith that you have shown. You have to be careful in the LDS Church. Many there are have some rather primitive beliefs. One of those is that the ordinances like baptism are magic rather than being only symbolic. In fact, one of the doctrines of the LDS Church is they have the saving ordinances and that is why you need to be a member in good standing. However, I reject these positions. I don't believe in magic and I don't believe anything man does can compel God in the least. If we do anything (or make any pronouncement), the only time it is meaningful is if God decides to back us up in it. It is not our place to dictate to God who will be saved and who will not. That is entirely up to God and it is by his grace alone that we can be saved. Very thought provoking, I would note two problems I have with the thought process here. 1. Its throws the need for, and belief in, modern day revelation out the window. 2. It speaks nothing of priesthood keys. The church as I understand it is a church of order and set up as it is for a reason. People can not go helter skelter doing whatever they want, whenever they want simply because "they are worthy", that is good for sure, but you have to have approval of your bishop who has the keys to authorize that ordinance. The church is, and is set apart from others because it was set up like Christs church of old. With revelation through his prophet. If you throw faith, and order, out the window, you have nothing left but anarchy. The church is made up of people and people are far from perfect, but it doesn't change the need for faith, or order. Thank you for your thoughtful reply. I hold that Brother Beckle's actions, rather than denying modern revelation, were actually based on, and mandated by modern revelation. He did what the Lord asked him to do. Isn't that obeying revelation? Ultimately we must all seek and receive personal revelation. Relying on revelation exclusively from another man or hierarchy is condemned by scripture and by statements of Joseph Smith. As for the Bishop holding the keys to authorize baptism, I cannot find such a thing in scripture. When I was a missionary, the church taught that bishops absolutely did not have any keys regarding any baptisms we performed. (We occasionally baptized people despite a bishop's objections.) But regardless, this baptism had nothing to do with the church, the ward, the bishop or the keys. It was a private recommitment between Brother Beckle and the Lord. I’m not sure where you got the idea that I’m throwing faith out the window. Remember, the only faith that saves is faith in the Lord Jesus Christ. Not faith in a man, keys, or the church. It was an act of great faith for Brother Beckle to do what he did, and then face persecution for it. I do appreciate your thoughts, because they’ve crystallized questions that I’m sure many people have when reading this piece. Thank you for giving me the chance to address these questions. That is also correct. The "real" priesthood and power of God comes from God alone. That is evident in the scriptures. The mistake many Mormons make is that they confuse the ecclesiastical priesthood in the LDS Church for God's priesthood. They are not the same thing. The priesthood and keys Mormons typically wield come from men. It is men that give it to each other and that tells you what priesthood it really is. And it is too bad. If these men (and women can seek and hold the real priesthood of God too) would seek this real authority from God to bless the lives of the people around them, it would make a lot of difference in a world sorely in need of these gifts and miracles. Also, it tells you who really has God's authority. After all, miracles follow after those that really have God's power. The sick are made whole, the lame made to walk, and the blind see. These are not the signs that follow after the men in the LDS Church because they do not have God's priesthood. I am the individual who baptized Brother Beckle. Before anyone else arrived at the appointed spot, I spoke with the Lord. He directed and authorized the baptisms. He told me after I baptized with water, He would baptize with fire and the Holy Ghost. Adrian's explanation is quite correct - this baptism had nothing to do with the church. At all. Neither Brother Beckle nor any others who were baptized that morning became "members" of anything. However improbable and unusual it may sound to some, and whatever traditions, beliefs, and ideas don't reconcile with these events, yet it is true. Baptism or rebaptism is a private act of devotion and commitment to the Lord. One that I recommend to anyone who believes the Doctrine of Christ. Excellent!I think God is concerned what is going on in the middle east right now and happy with those that come unto him. Proud of you for following Jesus. Thank you for sharing this Adrian. This has given me a lot to ponder over and provides some insights into things I've been seeking to understand lately. Between your blog and some of your wife's facebook comments I have felt a part of a blanket accusation of members of the LDS church that I don’t study the scriptures as much or as deeply as I should or as much as you both do. Are either of you saying that if I still believe the LDS church to be Christ’s church and I sustain Thomas S. Monson as His prophet, that I must not be studying and understanding the scriptures correctly? From many of your posts, I gather that you believe that since Joseph Smith’s death, the teachings of the prophets and apostles after him are the “philosophies of men, mingled with scripture”. Isn’t that essentially what this blog is? Your philosophy or understanding of the scriptures? You have some really interesting points and ideas and are obviously very well read, but I’m afraid to say the fact that you mentioned that you have read one of Denver Snuffers books and that it changed your life erased any credibility I gave you. I will say that you have motivated me even more to continue my study of all of the standard works and counsel of our modern prophets, so thank you for that. Ultimately, you should not and must not trust me or any other man. The Holy Ghost is the ultimate teacher of truth. If my blog has encouraged you to study the scriptures and the words of the prophets more deeply, then good has been accomplished. God bless you on your journey. Thank you. I agree with you there. But that didn't answer my first question. Sorry about that. I got hasty. In answer to your first question, No, I am not saying that at all, nor do I know of any place I have made any such assertion. All men and institutions are susceptible to errors. Our individual quest to come unto Christ is aided by recognizing and abandoning error in favor of truth. We have many teachings that are born of tradition and culture rather than scripture, so I do my best to point out what the scripture actually says, and what Joseph Smith taught. However, if you are comfortable with the understanding you already have, this blog isn’t for you. As for the philosophies of men, mingled with scripture, or "unbelief," yes, many of the teachings and cultural practices of the LDS church are just that, otherwise I would have no reason to blog about them. From time to time the church recognizes this and changes teachings. But this is not to condemn the church or to say it is entirely wrong. It’s not an all-or-nothing scenario. Recognizing error and teaching truth is not the same as condemning the entire institution. As above, all men and institutions make mistakes. It’s OK to make course corrections. As for the book by Denver Snuffer, I'm curious if you have read the book in question. And if so, I'm curious why stating that it changed my life would cause me to lose all credibility. I'm teaching from the scriptures, not from that book. I guess I don't follow your logic there. Are you saying that anybody who could ever find any good in that book could not possibly ever understand or teach any truth from the scriptures? Is it all or nothing? I apologize. I think it came more from FB comments that "LDS people" aren't focusing on the scriptures. No I haven't read Snuffers books. I guess you could say I have judged them by their covers, but I have been counseled and make it a personal point not to entertain literature that is not considered in harmony with the teachings of our modern prophets, as I know that is how Satan gets his foot in the door. From sources I consider reliable, I don't believe his books are in harmony with their teachings. I can appreciate what you are trying to accomplish with your blog, but it is peppered with a cynicism that I believe does not come from the Holy Ghost. The scriptures are absolutely God's word to us and the most important we can study. If I ever read anything outside of the scriptures in addition in my gospel study, I ask myself, by what spirit were they inspired? I applaud your desire to increase your gospel knowledge and relationship with our Savior through the scriptures. Thank you for taking the time to answer my questions; you are right, this blog is not for me. I hope for the best for you and your family! Interesting that the book in question (The Second Comforter: Conversing with the Lord through the Veil) was purchased at the BYU bookstore. I haven't read or heard anything from the modern prophets saying the book is out of harmony. While i agree that the disciplinary council stepped far out of their bounds, to excommunicate Brother Beckle, there is a much simpler solution to the need to follow our Lord into the water. We have the opportunity to be baptized in proxy for our dead. It is a great experience that many members have not partaken in, for quite some time. Just as the endowment is the perfect opportunity to serve the dead, and learn more fully of the Atonement, so is the baptism for the dead. But we also must remember that broken covenants are fixed by the Atonement of Jesus Christ, through our faith in Him , not by partaking of the sacrament. The sacrament is symbolic of the Atonement, which repairs all of our broken covenants, which is why i suspect such a connection has been formed between the baptismal covenants, and the sacrament. But again, all our broken covenants are fixed by Christ, through our faith in Him. Faith is an action, and to show our faith we can do many things, i believe one of which can be re-baptism, in your own words, "Taking such initiative shows commitment and faithfulness to the Lord. It demonstrates desire for repentance and recommitment to Christ." But we also must be wary of thinking that this ordinance is anything but symbolic. And i would even recommend, although not having been involved in a re-baptism myself, doing temple work in the temple baptistry before looking for your own re-baptism. Thanks for making that point about the sacrament. I hadn't realized before that there seems to be a false teaching (which from my experience is more implied so perhaps "false teaching" isn't the most correct phrase) that we take the sacrament to repent and receive forgiveness, that somehow that bread and water was erasing my sins. I was under the impression for years that my repentance was incomplete and that I couldn't be considered "clean" until I partook of the sacrament. I know better now, though. While the sacrament and repentance are definitely connected, I think I've been, for most of my life, misguided on the true meaning and purpose of the sacrament. I consider myself to be an unworthy man. I am weak, and sin often. You might say that I have a disease of the spirit where I am easily tempted and frequently fail to overcome the temptations that come my way. I am unclean. In 2 Kings 5:1-14 there was a man who had a similar disease, but his was of the flesh. I know that Naaman was not baptized as we see the ordinance today. But after washing seven times he came out clean of his physical disease. How much more need do I have to be washed clean of my spiritual disease of sin? How many times? Not my kindred dead, not some other, but me. Would seven be enough? I would think being baptized myself a second time might be a good start to becoming clean. I would to God that my soul were as clean as Naaman's skin after his seventh washing. Wouldn't you. If God had asked you to do some difficult thing to be cleaned, would you go and do it? But his doctrine only asks for faith, repentance, and baptism. With no stipulation on the number of times to have faith, or repentance, or baptism. If then God has asked, why not go and do it? Even if it is seven times, or seventy times seven. To be clean what would you do? I appreciate your comments about doing proxy work for others. I had wanted a rebaptism for over a year before I could execute it, and tried exactly what you suggest -- I managed to find some relatives in family search, prepared cards for them, and went to the temple with a friend to be baptized in their behalf. Since that time I also competed other ordinances for some of those individuals. While worthwhile, proxy work was not the same as my own rebaptism. As I said, it's something I desired for quite a while, recent events just unfolded in such a way as to solve the problem of finding an officiator. I know God approved of my baptism and of many others'. He has responded with the promised outpouring of the Holy Ghost. Thanks for engaging and may God bless you and yours.